GZERO Media is a company dedicated to providing the public with intelligent and engaging coverage of global affairs. It was created in 2017 as a subsidiary of Eurasia Group, the world's leading political risk analysis firm. Interest in global affairs is soaring these days, and yet traditional sources of insight are either too politicized, too polarizing, or too boring. We believe there's a better way to help people understand the forces that are reshaping their world. By delivering deep insight with a light touch. By taking a global view. By pushing beyond predictable opinions and formats to inform, engage, challenge, and entertain. Our approach is at once journalistic, analytical, and creative. We not only explain the most important stories in the world today — we tease out the critical connections between them, so you can be smart about what comes next. Whether you get the daily dish on global affairs from our Signal newsletter, see global leaders in a different light on GZERO World with Ian Bremmer, or get your fix of laughter and outrage from our political satire show PUPPET REGIME, we hope that you come away with a broader and deeper understanding of the world. 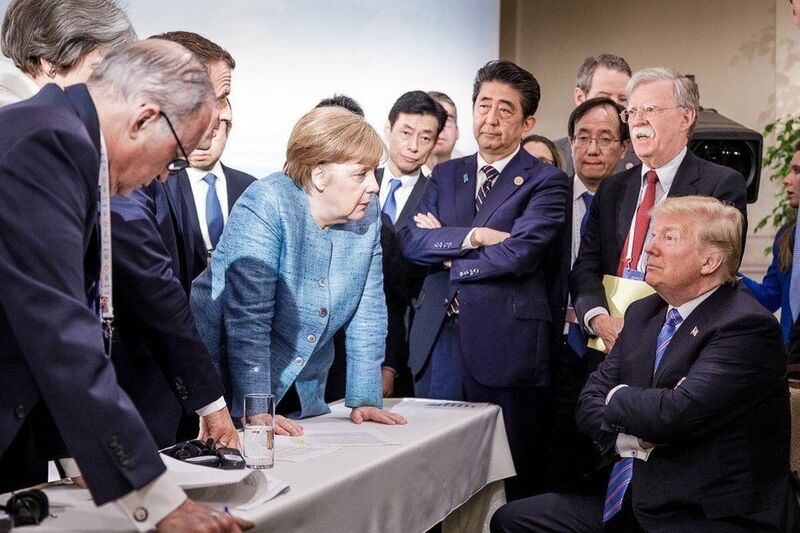 For decades, a small number of leading countries regularly came together – in formats like the Group of Seven (G7) or the wider Group of 20 (G20) – to seek collective solutions to the world's most pressing challenges. What's more, the United States used its power, for better or worse, as a kind of "G1" to underwrite global norms of global commerce, finance, and security. Today, that order is slipping away. No single power or group of powers is willing or able to set a global agenda. It's a world of many pretenders, but no leaders. Welcome to the GZERO. Ian Bremmer is President and Founder of GZERO Media. He hosts the weekly digital and broadcast show, GZERO World, where he explains the key global stories of the moment, sits down for an in-depth conversation with the newsmakers and thought leaders shaping our world, and takes your questions. Ian is also the President and Founder of GZERO Media's parent company, Eurasia Group, the leading global political risk research and consulting firm. Ian is an NY Times bestselling author of nine books including "Every Nation for Itself: Winners and Losers in a G-Zero World," "The End of the Free Market: Who Wins the War Between States and Corporations?" and "Superpower: Three Choices for America's Role in the World." His latest book, "US vs Them: The Failure of Globalism," looks at the failure of elites to address the growing spread of populism around the world. Ian earned a master's degree and a doctorate in political science from Stanford University, where he went on to become the youngest-ever national fellow at the Hoover Institution. Although he might not admit it, Ian's secretly jealous of his puppet's weekly interviews with the world's most powerful leaders. Alexsandra Sanford is the founding Chief Executive Officer of GZERO Media. Prior to GZERO Media, she was Director of Communications for Eurasia Group, where she worked since 2004. She played a central role in building the firm's external profile, overseeing the brand and communications strategy, digital communications, and content marketing for Eurasia Group's global offices. Alexsandra previously worked for ABC News, where she produced international and domestic coverage for "World News Tonight with Peter Jennings" and won an Emmy award for coverage of the 11 September 2001 terrorist attacks. She holds a master's degree from Columbia University's School of International and Public Affairs and is also a graduate of Tufts University. Alexsandra once aspired to be a professional ballerina, but her career peaked at age 11 on tour in Soviet Russia and Poland, and she began cultivating a new interest in international politics.